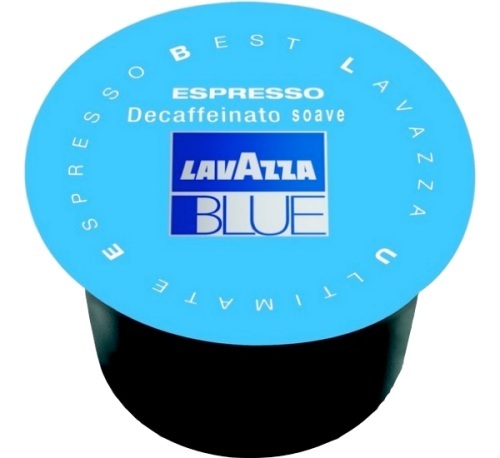 Pack of 600 Lavazza BLUE Espresso BLUE DECAFFEINATO SOAVE 100% ARABICA capsules, compatible with Lavazza BLUE machines. 100% Arabica blend from Brazil. Decaffeinated balanced coffee with a smooth crema.